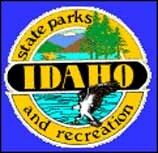 Idaho's state parks offer a showcase of the best in a state known for its natural beauty. The parks present a palette of colorful vistas and fun activities. Visitors range from picnickers to hikers and skiers to windsurfers. The parks present a swirl of scenes as the seasons advance, appealing to any passion. To appreciate them fully, you must return again and again.